At AFR Wholesale we value our broker partners, and the long-standing relationships we’ve built with them based on respect, appreciation, and a drive for shared success. We are honored when third party originators choose to work with us, to send us a loan, and continue to view us as an integral part of their business year after year. We are thrilled that these efforts have been well received in the broker community and are proud to have been recognized as a “True Partner” by BRAWL, Brokers Rallying Against Whole-Tail Lending. This organization is a group of independent mortgage brokers who have identified those wholesale lenders who they feel are on their team, and those they feel are working at odds to the interests of their third-party originators. Competes With Brokers At American Financial Resources third party originations make up the majority of our business. We are committed to promoting the success of independent mortgage brokers across the country and believe that working with them is the ideal way to get our diverse products and excellent pricing in front of the consumers who can benefit from them. Defends Brokers Business We retain servicing through the first year to help ensure a positive borrower experience. In addition, if we become aware that a past client is in the market for a new loan, whether through inquiry, credit pull, or payoff notification we alert the originator so they have an opportunity to retain their hard-earned business. Proactive Broker Support We provide resources to brokers to help them market to their past clients, as well as education and training on increasing market share and growing a mortgage business. Supportive of BRAWL As part of our long-term commitment to the success of our broker partners we are happy to support the efforts of the BRAWL movement. 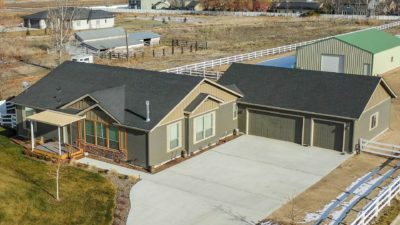 Product Selection Our incredibly diverse program offerings include low money down programs, jumbo financing, renovation loans, one-time close construction, mobile home financing, and much more. Support We’re there with help when it’s needed, whether that means answering a question on an in-process loan, pricing a scenario, or providing training on a niche product. Our On-Demand Processing enhancement where we help you process, underwrite, fund and close the loan, at no additional cost, is a huge time saver allowing third-party originators to greatly increase their volume. Technology At AFR we utilize the latest technology so our partners can work more efficiently. Our Loan Origination Portal, AFR Loan Center, means it’s possible to manage a pipeline from anywhere, on any device.